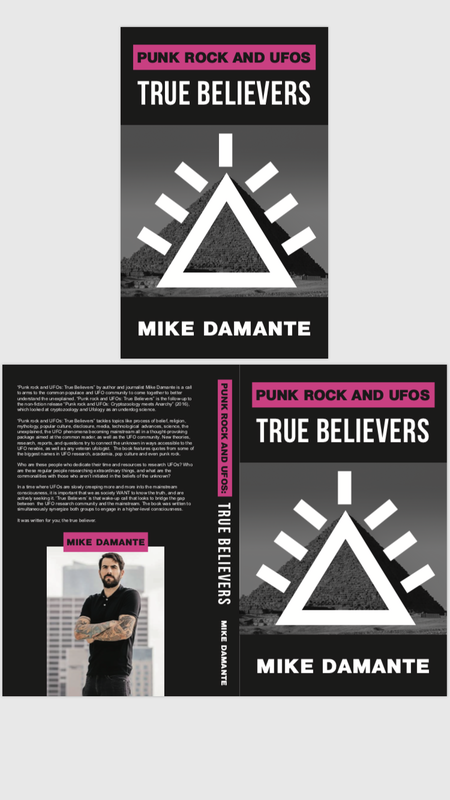 “Punk rock and UFOs: True Believers” by author and journalist Mike Damante is a call to arms to the common populace and UFO community to come together to better understand the unexplained. “Punk rock and UFOs: True Believers” is the follow-up to the non-fiction release “Punk rock and UFOs: Cryptozoology meets Anarchy” which looked at cryptozoology and Ufology as an underdog science. New theories, research, reports, and questions try to connect the unknown in ways accessible to the UFO newbie, as well as any veteran ufologist. You can help the show by checking out my sponsors! This episode of iNTO THE FRAY brought to you by HIMS…a one-stop shop for hair and skin care, for men. My listeners get their first month of HIMS for just $5! Click HERE! And also by LIGHTSTREAM…reward yourself for your good credit, by paying less interest on your credit card balances! Click HERE for an additional interest rate discount!